Matt Rouch’s album The Beautiful and the Damned is one of such a natural and organic sound, that you will feel like he and the band are right there in the room with you – for the entire performance of each and every song. The music is so pure sounding, the effortless beauty of folk, the lyrical magic of melodic poetry, and the lead vocal of such warmth and realness that you feel involved and welcomed from the very beginning. The title alone is so perfectly intriguing and captivating that it seems a crime not to listen, but in all honesty; it is the music and the song writing that will really draw you in. I’m No Angel is a superb way to begin a release such as this. 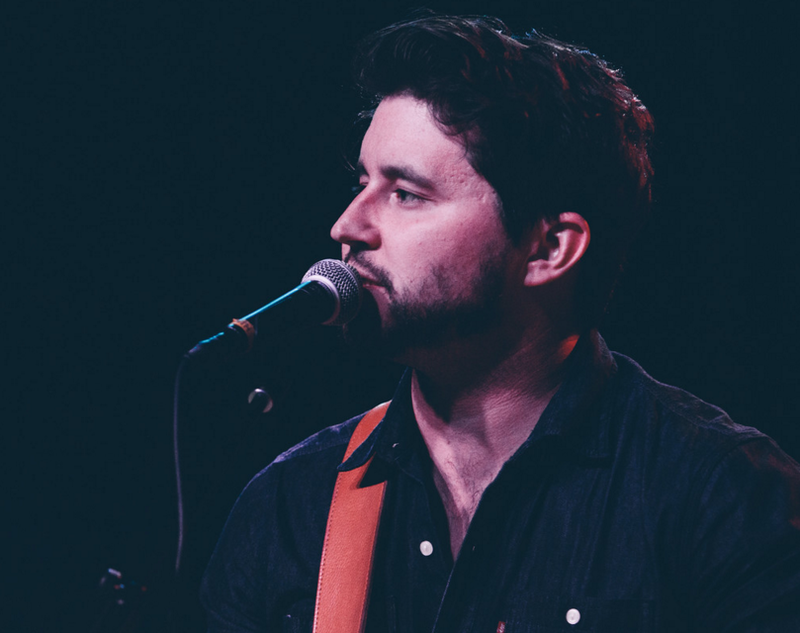 The song is beautiful, a great introduction to Matt Rouch if you haven’t heard his music before, and a great introduction to what will be a stunning collection of heart felt folk style songs. The harmonica weaves it’s simplistic artistry around you and fits so brilliantly with the surrounding music and melodies. You hear this song and immedietly feel like you know it from somewhere, like perhaps it was the theme tune or backing music to one of your favourite films. A lot of the songs in this album have a similar feeling actually, that the music is so real, so accessible, the word organic comes to mind again, that it just has to be used here, there, and everywhere – to brighten up the corners of an otherwise quieter alternative art form. It feels like the soundtrack to a well traveled and hard working life. The feeling continues throughout the album; Bus to Chillicothe has that same shine of the storyteller, that same personal element, but in addition to this there is a sudden and strong sense of emotion and honesty. The vocal performance is gentle and smooth, the lyrics are thought provoking and deep, the guitar work is sublime – the sound, the performance, the recording style and mix – it all sounds fantastic. This song gives you that sense of oneness you only get from real, genuine music; like the artist knows how you feel, has felt it too, and has written about it – just for you. Heartache in My Bones is the fifth track of the album, and was a personal favourite for a number of reasons. The simplicity of the instrumentation, that country twang and riff, rotating and gently reeling you in, that beautiful vocal melody and lyrical poetry of a sort of Leonard Cohen style – it all works so well together, and is so well placed within the track-list that you may find you were craving exactly this kind of song by now, without even realizing the desire. The strings come in, the additional twang style riff, the big bass drum – the atmosphere this track creates is just fantastic. It transports you somewhere far away from your current moment; unless of course you’re already standing and reflecting on your life outside some desert-side bar in the states – which I am not, but securely felt as if I was, quite effectively, for the extent of this song. It’s one you’ll find yourself returning to again and again, the reason the repeat button was added to life and music. 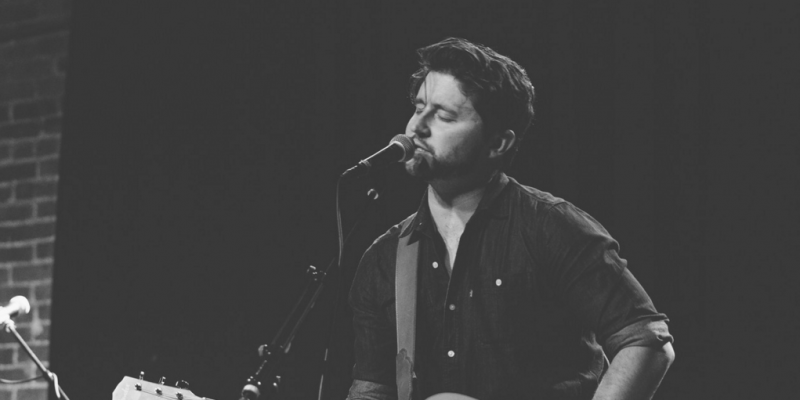 Matt Rouch has everything going for him when it comes to making music, he has everything you’d hope for in an acoustic artist, or a song writer, whether it’s folk or indie or country music you’re after. The Man You See is yet another example of glorious writing; soft and seductive melodies, the simple picking of guitar strings, the beautiful warmth of those flawless and effortless sounding harmonies. The strength is in the writing and the performance, and nothing else is needed to keep that fire burning. The Man You See gave me a little hint of Eddie Vedder, in fact, the Into The Wild soundtrack in particular – again, that soundtrack sort of sound, like there is so much more going on than what can simply be heard. The vocal is stunning on this one too, really stepping out into the spotlight for a few minutes and standing tall among the minimalist musical backdrop. If you’re looking for an album to see you through an evening of quiet contemplation, or one for those evenings spent relaxing and catching up with old friends, or one for that long car journey back to wherever it is that you feel you need to be – this is the one. Head over to Matt Rouch’s Website to get hold of a copy. In the meantime, here’s the official video for This Side of Paradise – an incredibly honest and gorgeous sounding song, accompanied by the simplistic beauty of an acoustic performance and an array of hypnotic visual art. Everything is as it should be; press play and let it take you away – from the hectic, somewhat overly fast paced world – for a couple of minutes at least..
Find out more about Matt Rouch and grab your copy of The Beautiful and the Damned over on his Website. Follow him on Facebook, Instagram, and Soundcloud to show your support and to stay updated. Real music is alive and well – let’s keep it that way. Get involved.